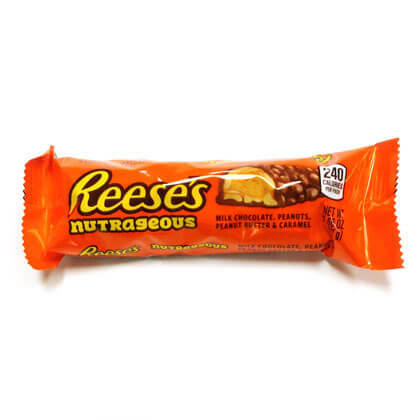 Reese's NutRageous candy bar. Made with chocolate, peanuts, peanut butter and caramel. Net weight 1.66 oz.